Enjoy Dr. Anne Blythe's new book of poetry. Seventy beautiful poems. 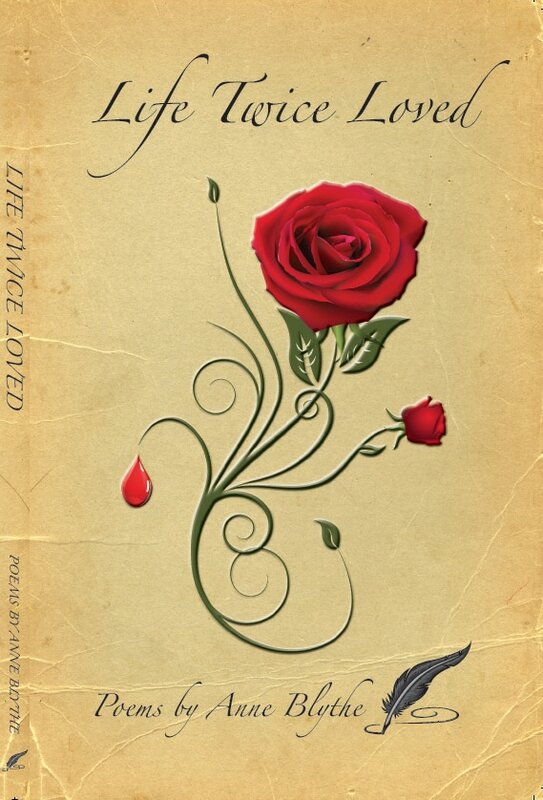 Life Twiced Loved is a collection of poems written over a lifetime. As Kahil Gibran would say - how can we know happiness without sorrow, joy without pain? These poems mirror the life of one poet "who's not been afraid to tip the Cup of Life to her lips with a smile." $20 plus $5 shipping and 6% SC sales tax if applicable. See below for an excerpt of poems. 127 pages in 8 1/2" by 5 1/2" book. Boho refined with a touch of old jewelry. Even the river’s cold this morning. the curves up the mountain. of earth’s sorrows and sins and promises. of a quickening woman’s heart. She understands this crazy old heart of mine. I don’t yet know---but wants me to learn. my own spirit glides and soars the high blue ridge. keeps time with the river’s lucent songs.